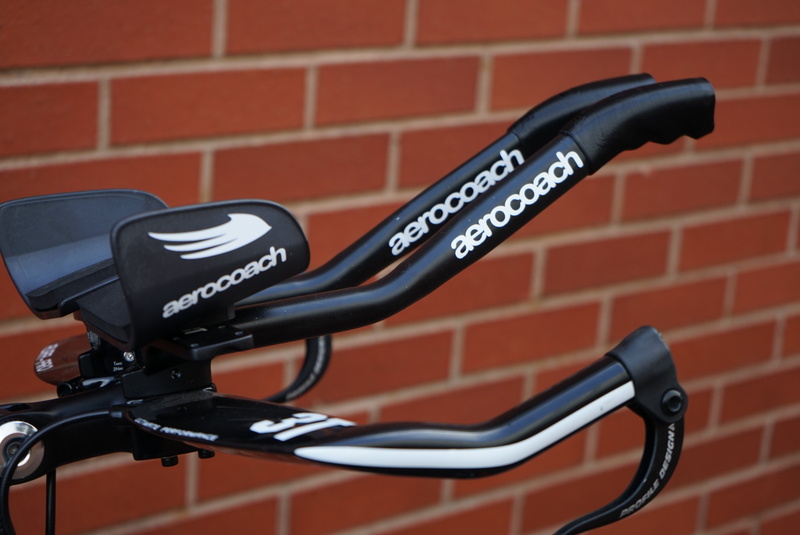 STABILITY\/COMFORT\/BIOMECHANICS<\/h1>The AeroCoach Angles extensions for aerobars are ergonomically designed, made of strong and stiff 7020 series aluminium and use an industry standard 22.2mm diameter. UCI LEGALITY GUARANTEED WITH 25deg ANGLES <\/h1>Never fail the UCI 1.3.023 10cm vertical regulation ever again! 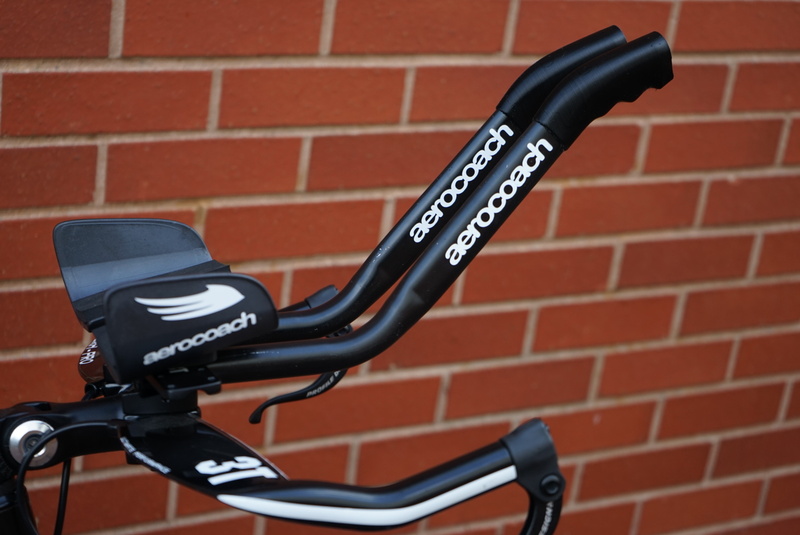 Relevant only for races held under UCI regulations (not triathlons or races run under UK CTT regulations), the 25 degree Angles are specifically designed to ensure that you cannot fail the 10cm height rule when using electronic gearing. Please note that the 75cm\/80cm extension reach rule must still be adhered to. In some situations the 35deg Angles can also stay within UCI vertical limits - please see the geometry chart below for full information. AERO COMPUTER MOUNT<\/h1>PLEASE NOTE - STANDARD ROUND CLAMPING SECTION COMPUTER MOUNTS ARE NOT COMPATIBLE WITH THE ELLIPTICAL SECTION OF THE ANGLES<\/b>. Garmin or Wahoo mounts are available using the drop down list above. Each computer mount comes with an optional 7 degree adapter to keep your Garmin centralised in your plane of view, even if you have adjusted your Angle tips to be closer together. A standard round tube adapter is also included for round extensions. CHOOSE YOUR ANGLE <\/h1>Please refer to the geometry information below to choose the appropriate set of Angles for you. Each pair of standard Angles comes in either 25 degree, 35 degree or 45 degree bend, and all have the same overall horizontal length of 360mm. 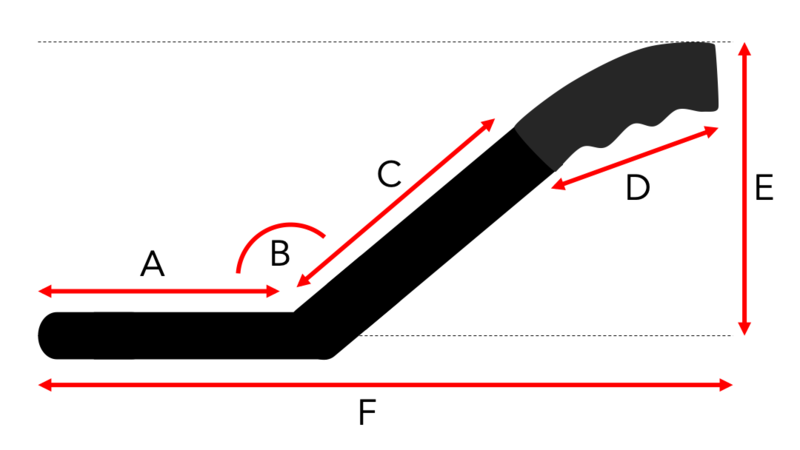 The end grippers bend at a 25deg angle to the central elliptical section. If you would like custom geometry please read below. Choose ANY horizontal length, angle or elliptical section length you require! Simply choose \"Custom\" from the drop down list above and clearly state the measurements below in mm and degrees in your comments box at checkout.<\/p>Please note the end grippers are a fixed size and bend (25deg) and cannot be altered. The bend section is also a fixed 65mm in length, and this should be taken into account when measuring up for your custom size. 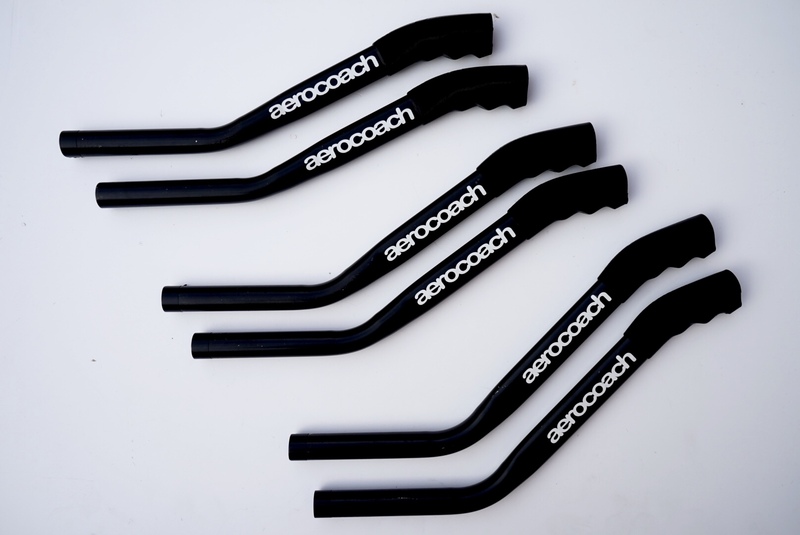 The AeroCoach Angles extensions for aerobars are ergonomically designed, made of strong and stiff 7020 series aluminium and use an industry standard 22.2mm diameter. Never fail the UCI 1.3.023 10cm vertical regulation ever again! 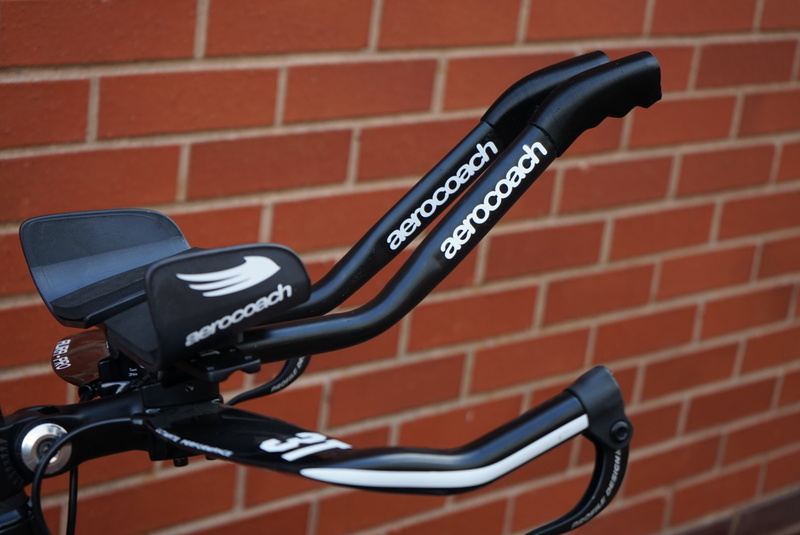 Relevant only for races held under UCI regulations (not triathlons or races run under UK CTT regulations), the 25 degree Angles are specifically designed to ensure that you cannot fail the 10cm height rule when using electronic gearing. Please note that the 75cm/80cm extension reach rule must still be adhered to. In some situations the 35deg Angles can also stay within UCI vertical limits - please see the geometry chart below for full information. PLEASE NOTE - STANDARD ROUND CLAMPING SECTION COMPUTER MOUNTS ARE NOT COMPATIBLE WITH THE ELLIPTICAL SECTION OF THE ANGLES. Garmin or Wahoo mounts are available using the drop down list above. 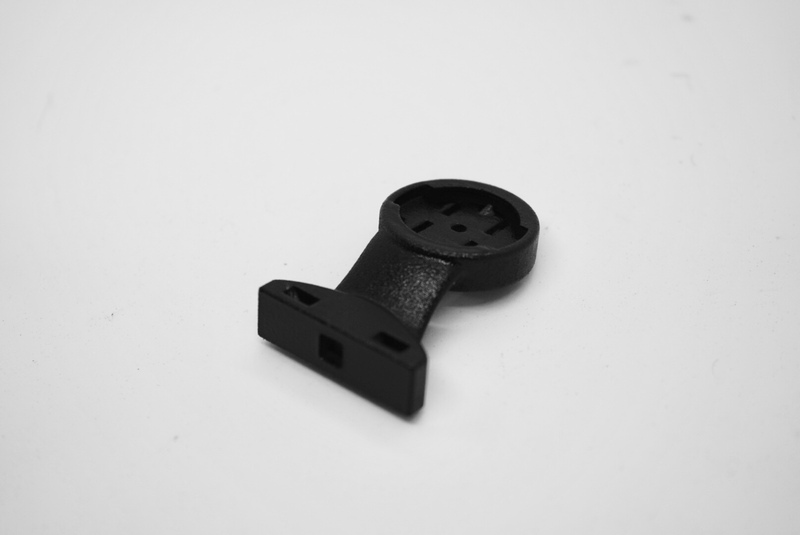 Each computer mount comes with an optional 7 degree adapter to keep your Garmin centralised in your plane of view, even if you have adjusted your Angle tips to be closer together. A standard round tube adapter is also included for round extensions. Please refer to the geometry information below to choose the appropriate set of Angles for you. Each pair of standard Angles comes in either 25 degree, 35 degree or 45 degree bend, and all have the same overall horizontal length of 360mm. The end grippers bend at a 25deg angle to the central elliptical section. If you would like custom geometry please read below. Choose ANY horizontal length, angle or elliptical section length you require! Simply choose "Custom" from the drop down list above and clearly state the measurements below in mm and degrees in your comments box at checkout. Please note the end grippers are a fixed size and bend (25deg) and cannot be altered. 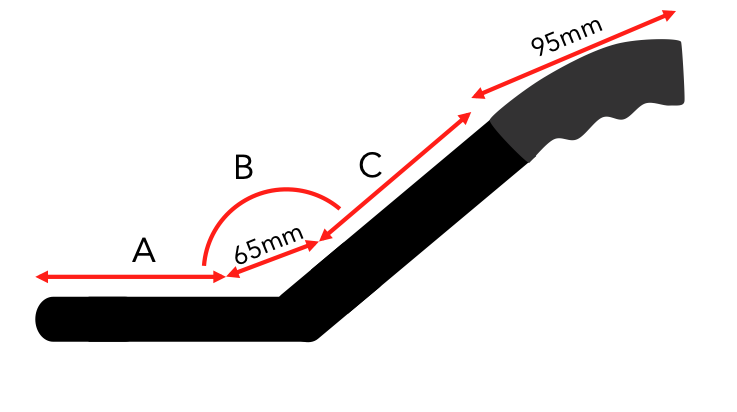 The bend section is also a fixed 65mm in length, and this should be taken into account when measuring up for your custom size. * Based on residence in United Kingdom. Tax rates for other countries will be calculated at the checkout. Price exclusive of tax: £72.92.